Lunar / Chinese New Year (CNY) falls on 31 January this year. I love celebrating Chinese New Year. My fondest memories of CNY were visiting my relatives and collecting red packets. There were awesome goodies that I get to eat. My favorite is "Bak kwa" (BBQ pork)! After getting married, CNY was a time to rest, catch up with friends and giving red packets instead! 2014 is a special year for Mr B and I as we welcome Baby A into our lives. We get to collect red packets again! 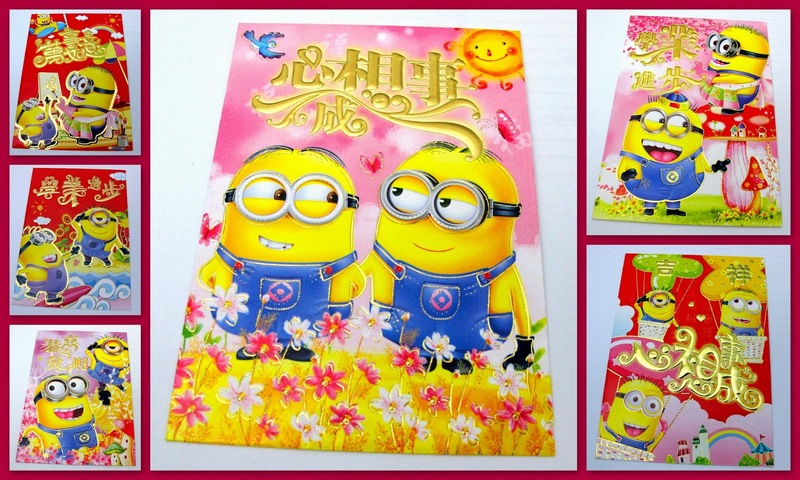 While preparing the red packets for CNY, I stumbled upon these adorable Minions ones! Can't wait to use them.